Like all of our custom wood furnishings, this table is hand hewn with mortise and tenon joinery. This type of craftsmanship ensures that your product will stand the test of time. This process blends the finish into the grain of the wood so that it won’t fade, flake, or crack like painted on finishes. So because each product is built under the supervision of world renowned artist H.J. Nick, every product that leaves our shop is stamped with the H.J. Nick seal. This ensures that your custom furnishing is an original work of fine art never to be mass produced, machine made, or built using and kind of fast process. All of our custom, fine are furnishings are hand built by master craftsmen at our Scottsdale, Arizona factory. 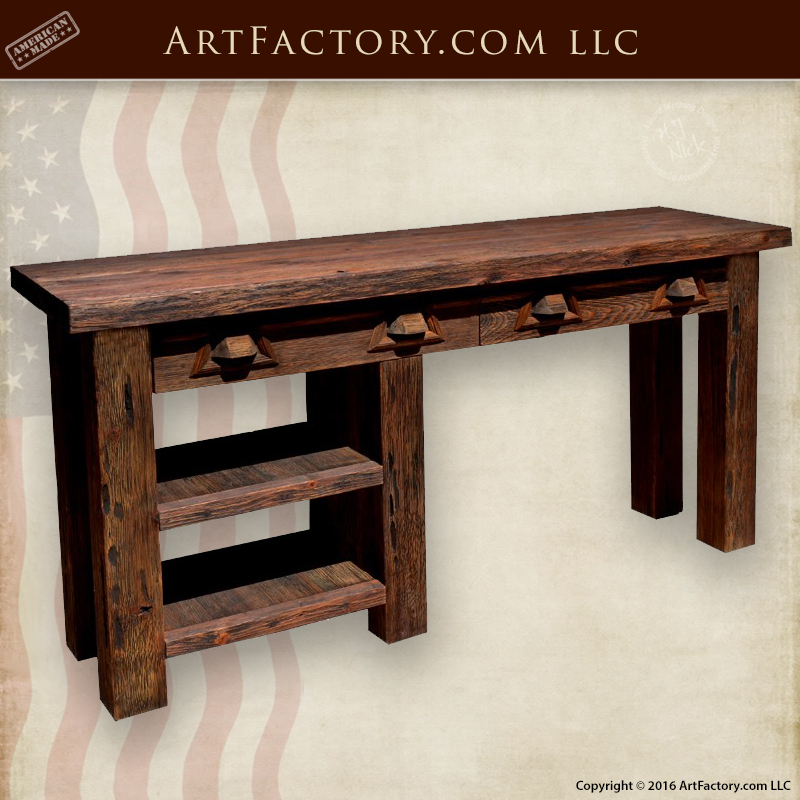 At ArtFactory.com we build custom wood furnishings from solid, full length, American timber that is naturally air dried. Furthermore, historic designs such as this custom craftsman style table are always build using the same traditional techniques, such as were used to build Frank Lloyd Wright’s original table over a century ago. This makes for a unique, and one of a kind, heirloom quality furnishing that can be cherished for generations and will build antiquity value overtime. To top it all off, we guarantee our products forever.